There are so many resources on the web regarding a raw food diet, but here are some of my favorites lately. I will post more as I find them. Frederic Patenaude: I love this guy. He’s got it all figured out and his articles are awesome. Alissa Cohen: This is where I first learned about the raw food lifestyle. 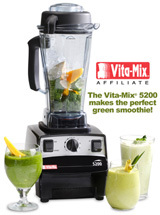 Feelin’ The Raw Love	The Happy Foody Green Smoothie Challenge! Thank you for posting so many great Web resources! It’s amazing how much information is out there now.